The recent economic downturn has caused a seismic shift in the retail use landscape. To fill vacant space, landlords are reaching out to end users that were not only shunned in prior times, but actually even those that were prohibited. Prohibited-use provisions were considered part of the boilerplate provisions and were not subject to much negotiation. Today, some uses that have long been prohibited are being reconsidered as part of traditional shopping centers. Existing tenants are being asked to waive use restrictions to allow some of these long prohibited uses. Two of these are schools and churches. With the large number of big box closings, landlords began to see these large spaces, which are often nearly next to impossible to subdivide into smaller retail spaces, as viable for school/church use. The fear was that the parking spaces would be taken up for long periods of time by people not visiting stores. Recent history has proven otherwise. 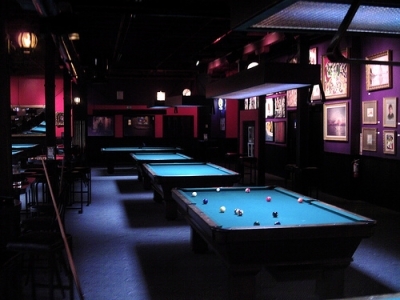 Another typical prohibition was for bowling alleys and billiards clubs. The same parking rationale applied, as well as a fear that it would attract the wrong clientele to the retail center. But new bowling alleys and billiard parlors have gone “upscale.” High-quality music systems, televisions, lights and upscale food and liquor service have given these retailers an almost night club-like ambiance and mystique, which has made them attractive to landlords and the other tenants. Traditional parking issues remain, and the solution is generally the creation of “exclusive” parking fields for the retailer or the construction of structured parking to increase the parking space count for the center. The next prohibited use to fall by the wayside is the “massage parlor.” No need to go into detail as to why this was a typical prohibited use. But this prohibited use was brought to the forefront by the rollout of legitimate day spa type operators, such as Massage Envy. The chain has been successful because it offers very reasonable prices for traditional Swedish, deep tissue and other massage treatments which are typically offered by larger resort spa providers. So, the bottom line is, review the prohibited use clause and craft a reasonable proposal for existing tenants with the information that they need to evaluate when seeking to waive an existing prohibited use. In addition, consider amending your current lease form to provide more flexibility in the future for similar situations. Our real estate attorneys have extensive experience with all aspects of commercial lease agreements, and we write about these and other important issues affecting the Florida commercial and residential markets on a regular basis in this blog. We encourage industry followers to submit their e-mail address in the subscription box on the right in order to automatically receive all of our future articles.